The 50 acres of land identified by BHEL is at Jamboree Maidan on the outskirts of the state capital. However, in the absence of state government permission the work for the plant has not been started yet. The solar power plant, for which center has given green signal to Bharat Heavy Electricals Limited (BHEL), is still in limbo as the Madhya Pradesh government plans to keep the area sanctioned, for political and public events. The BHEL is now proposing to set up the plant in the city outskirts on its own land. The 50 acres of land identified by BHEL is at Jamboree Maidan on the outskirts of the state capital. However, in the absence of state government permission the work for the plant has not been started yet. Given that the state-owned power equipment major had sanctioned the Rs 54 crore solar power plant in November 2016 and the date for completion was March 2017, the project remains dangling. The Jamboree Maidan is a 200 acre wast land owned by BHEL. It has till date hosted hundreds of programs and rallies of different political parties including that of Prime Minister Narendra Modi. Chief Minister of the state Shivraj Singh Chouhan too oath for the office in this ground after the BJP won in December 2013. “There is 200 acres land known as Jamboree Maidan, located adjoining the BHEL plant. The land was left open for the expansion of the plant. 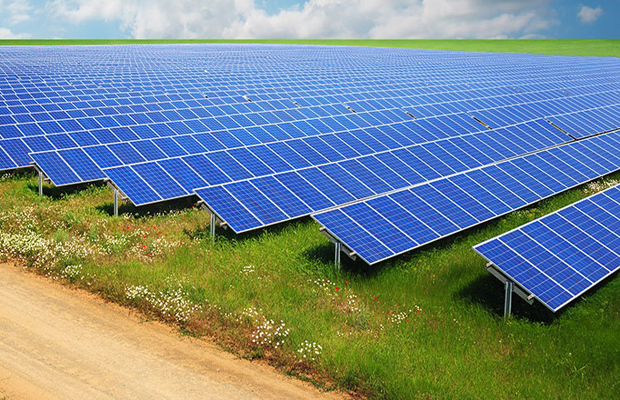 A solar power unit is proposed to be set up on 50 acres land of the ground. But itcould not take off in the absence of district collector’s permission,” said BHEL spokesperson Vinodanand Jha while talking about the project. He further added that “we have already taken approval from the Union Ministry of New and Renewable Energy to set up the power plant so that BHEL can also get subsidy under the scheme for initiatives to promote non-conventional energy.